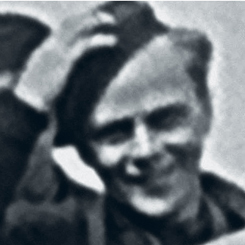 Norwegian courier and spy arrested by Stapo. 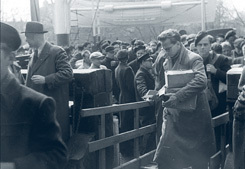 Deported to the Fuhlsbüttel Prison and Sachsenhausen. Did he manage to return to Norway? 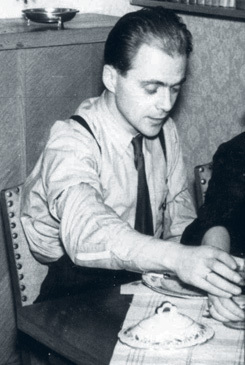 Norwegian courier and spy for the Norwegian resistance organisation Milorg, in Oslo. 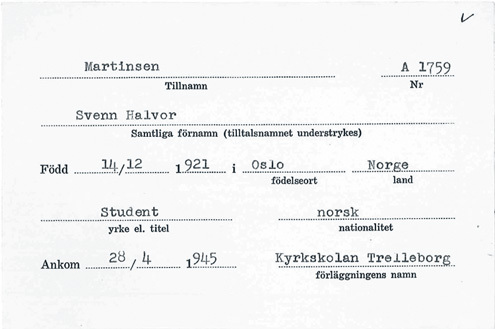 In 1942 Svenn was arrested by Stapo, the Norwegian state-police. During the interrogation Svenn was physically and psychologically abused. In 1943 he was deported to the Fuhlsbüttel prison in Hamburg and later sent to the concentration camp Sachsenhausen. 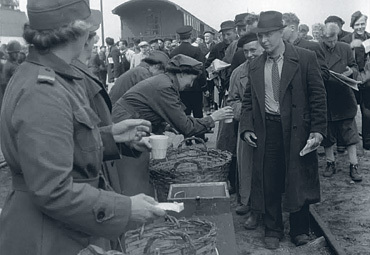 Svenn was rescued by the Swedish Red Cross and arrived in Malmö, Sweden, on April 28, 1945. He recovered in a quarantine camp in Slätthög in southern Sweden. Svenn was able to return to Oslo in early June 1945. Later on he moved to Fana, outside of Bergen in west Norway, and worked as a teacher for children with special needs. If you can help us with further information about Svenn Martinsen we will be very happy to hear from you. Please write an email to our researcher Sebastian. 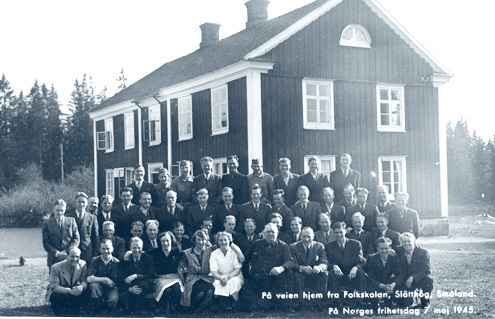 Svenn Martinsen with fellow Norwegian resistance men in Sweden, May 1945.